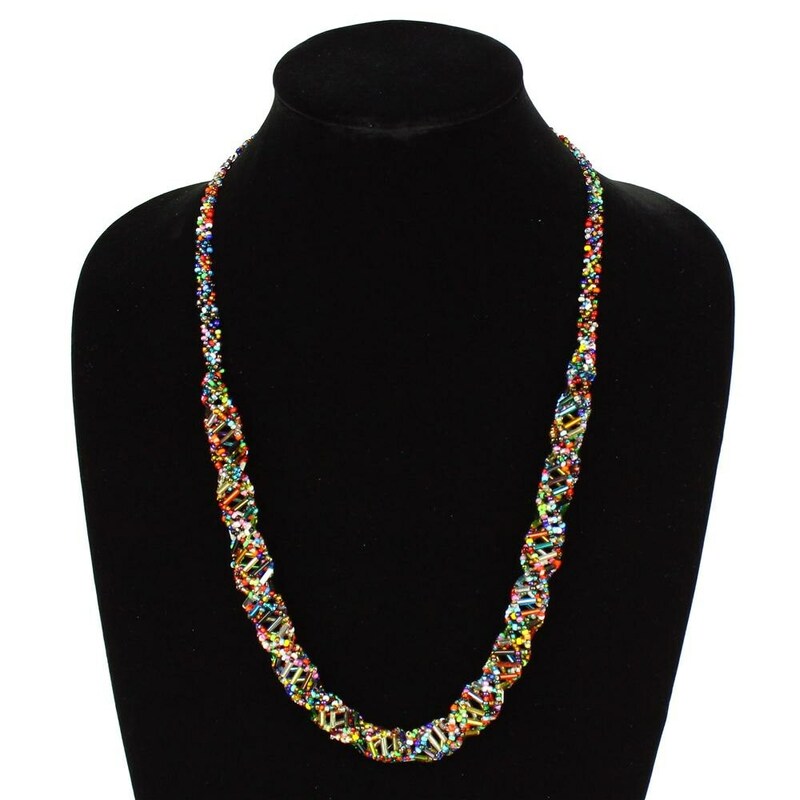 Hand beaded multicolored necklace is entirely handmade. This necklace has almost all of the colors making it very versatile to match almost all of your wardrobe! It is shaped exactly as a DNA with a beautifully beaded double helix shape and has a magnetic clasp. No fuss since no loop closures. This necklace is extremely light weight! You will love using it for many years to come.